I consider myself to be an avid music lover and I'm always on the look out for good music. Well, I definitely think I found it over in the UK in the form of Emeli Sande'. Emeli whose real name is Adele (there is defintiely something special about these UK chicks named Adele) was born and raised in Alford, Scotland. She is an R&B and soul singer who study medicine at the University of Glasgow before deciding to pursue her music full time. 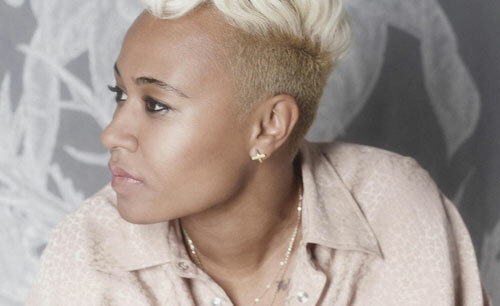 Emeli first became known to the public eye after she was featured on rapper Chipmunk's debut single, "Diamond Rings", which gained herself and Chipmunk a first top 10 singles on the UK Singles Chart. In 2010, she appeared again on Roll Deep star, Wiley's "Never Be Your Woman", which became another top ten hit. Simon Cowell called her as "his favourite songwriter at the minute". She has written for a number of artists, including Cher Lloyd, Susan Boyle, Preeya Kalidas, Leona Lewis, Cheryl Cole, and Tinie Tempah. I'm really loving this chick and I thought I would share her with my Savvy Readers. My favorite song of hers is 'Maybe'. Her voice reminds me of a more soulful Leona Lewis. Let's just hope they break her over here in the States because other than my girl Jilly from Philly the music scene over here is really bleak.